–The long running ‘Big Brother’ reality show for a 19th and 20th season. –’Big Brother’ is a spin-off of a Dutch TV series of the same name. 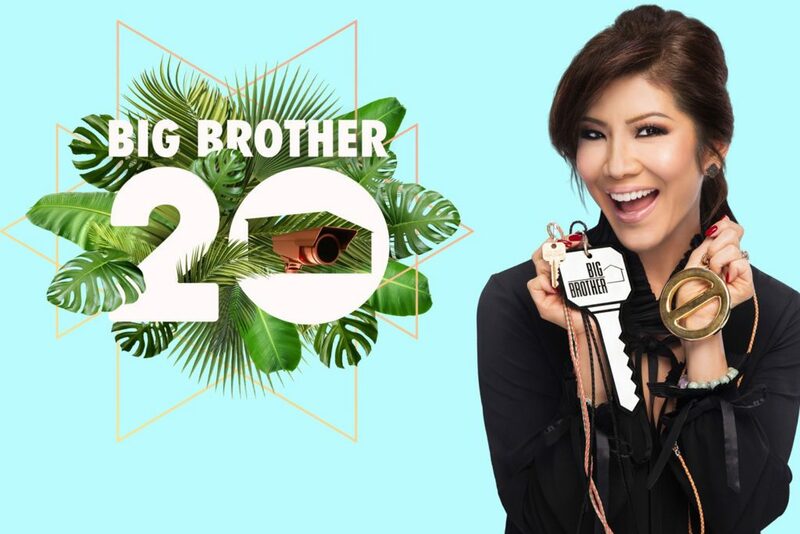 –The Season 20 premiere of ‘Big Brother’ airs Wednesday, June 27 on CBS TV. We cover reality TV extensively here at Sports Betting Experts and they all share a similar refrain in terms of their popularity. Their viewership is down significantly since their ‘glory days’ but they remain a staple of the analog era legacy broadcast networks due to their ability to due what few programs can–aggregate a decent sized viewing audience on a weekly basis. Such is the case with the CBS TV summer staple ‘Big Brother’, now in it’s 20th season. It’s a dependable audience aggregator that can be counted on to bring in 5+ million viewers several times a week. In the TV landscape as it is in 2018 that’s huge. The format and rules of ‘Big Brother’ are typical of the genre. A group of contestants live together in a house isolated from the outside world. Contestants get kicked out for violating a list of rules, they can leave at any time of their own volition (and one has already done so this season) but the general idea is that they keep getting voted off the island…er…out of the house until one remains and claims a prize of a cool $500 grand. There’s also an audience voting component and a few hidden idol-esque power ups to keep it interesting. It always takes me a while to warm up to the ‘Big Brother’ cast and I think that CBS ‘casting by the numbers’ strategy for finding houseguests is a big reason for that . I get that it’s hugely popular and critiquing a reality show for seeming ‘contrived’ is a bit ridiculous since–spoiler alert: they’re all contrived. That being said, most at least try to maintain a veneer of spontaneity and individuality. ‘Survivor’, for example, usually presents an interesting twist or two. They also have greater diversity among their cast. I’m not using that in racial/cultural context (though they *do* have a wider range of ethnic backgrounds represented)–I mean that the cast at least comes off as more interesting than a lot of reality shows. They also come off as real people and not ‘types’. ‘Big Brother’ doesn’t go in much for ‘diversity’ or any sort of nuance for that matter. They presumably put out an annual casting call for tatted up dudes (plus one cowboy guy or similar ‘unique gimmick’) and chicks that look good in swimsuits (since they apparently wear them 24/7) and call it a day. I know that these shows aren’t cast for me (in which case they’d have a house full of Austrian economists, cosplay girls and Japanese professional wrestlers) but some variety would be nice. The cast isn’t the ‘lowest common denominator’ but they’re definitely selected in an attempt to appeal to the last remaining broadcast TV demographic. There’s one houseguest of Middle Eastern decent this year who may fill the ‘cowboy hat guy’ unique gimmick slot for this season and that’s a welcome bit of casting variety. One upside to the CBS casting strategy–at least for me is that it simplifies the oddsmaking process in the early going. I’m able to set odds on ‘types’ of characters rather than individual characteristics. That’s why the three guys at the top of the odds table are there and why the two contestants at the bottom are where they are. Here’s some serious advice for aspiring reality show contestants: you can’t ‘self gloss’ yourself. Any nicknames have to be obtained spontaneously on the air. That’s why the two ‘self glossed’ contestants ‘Rockstar’ and ‘Swaggy C’ aren’t expected to go far this season. WHO WILL BE EVICTED LIVE ON AIR IN EPISODE 1 OF ‘BIG BROTHER’? WHO WILL BE NAMED ‘HEAD OF HOUSEHOLD’ LIVE ON AIR IN EPISODE 1 OF ‘BIG BROTHER’? WILL THE LIVE ELIMINATION VOTE IN EPISODE 1 OF ‘BIG BROTHER’ BE UNANIMOUS? WILL ANYONE KISS LIVE ON AIR DURING IN EPISODE 1 OF ‘BIG BROTHER’? WILL ANYONE SAY ‘FRIENDSHIP’ LIVE ON AIR DURING EPISODE 1 OF ‘BIG BROTHER’? WILL ANYONE SAY ‘YOUR BOY’ LIVE ON AIR DURING EPISODE 1 OF ‘BIG BROTHER’? WILL ANYONE SWEAR OR BE ‘BLEEPED’ LIVE ON AIR DURING EPISODE 1 OF ‘BIG BROTHER’? WILL ANY MALE CONTESTANT WEAR A SLEEVELESS T-SHIRT LIVE ON AIR IN EPISODE 1 OF ‘BIG BROTHER’? WILL TWO OR MORE CONTESTANTS GET INTO A FISTFIGHT LIVE ON AIR DURING EPISODE 1 OF ‘BIG BROTHER’? WILL ANY CONTESTANT(S) BE BOOED BY THE AUDIENCE LIVE ON AIR DURING EPISODE 1 OF ‘BIG BROTHER’? NUMBER OF TIMES JULIE CHEN SAYS ‘BUT FIRST’ LIVE ON AIR DURING THE EPISODE 1 OF ‘BIG BROTHER’? EXACT NUMBER OF TIMES JULIE CHEN SAYS ‘BUT FIRST’ LIVE ON AIR DURING EPISODE 1 OF ‘BIG BROTHER’?